I am a huge fan of all J.R.R Tolkien’s novels and I am really looking forward to seeing the upcoming film version of “The Hobbit. Once again directed by Peter Jackson, who did the Lord of the Rings Trilogy . This widely anticipated film has been split into two parts, the first of which is scheduled for release in 2012 and the second scheduled for 2013. 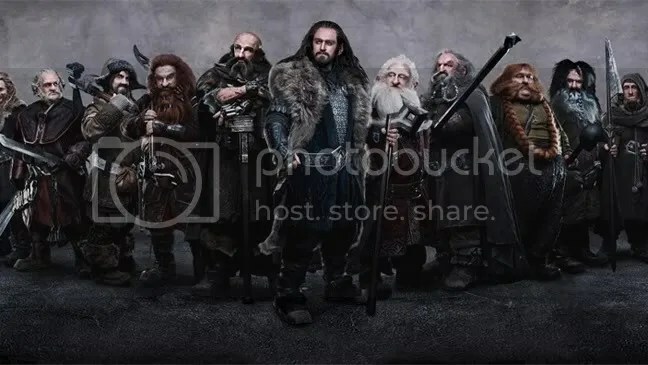 The film Stars Martin Freeman, Sir Ian Mckellern, Richard Armitage, James Nesbit, Andy Serkis and many more.The story Starts when a Hobbit named Bilbo Baggins(Freeman), is visited by Gandalf the wizard(McKellern) and persuaded to join a company of Dwarves led by Thorin Oakenshield (Armitage) on a dangerouus quest to the Lonely mountain to recover a magical, and much sought after, artefact known as the Arkenstone. The only problem is that it is part of a priceless horde which has been stolen and is being guarded by a ferocious dragon named Smaug. Along the way, they also face many other dangers too, including Wolves, Orcs, Giant Spiders, Imprisonment by the Elves of Mirkwood Forest and the devious schemes of a certain ring owner named Gollum (Serkis).